At tomorrow’s Uptown Wednesday market McClendon’s Select is happy to welcome Chef Justin Beckett to be our market chef for the day. Chef Beckett’s two Phoenix restaurants, Beckett’s Table and Southern Rail, are among my very favorites. He has been a long-time proponent of using local, organic produce in his cooking and has brought that level of thoughtfulness to all parts of his business. Both of his restaurants were built in restored spaces that paid careful attention to reusing and repurposing many parts of each building to incorporate the old with the new. I have always appreciated his consciousness about both the dishes and spaces he has created, plus I just really, really love Southern Rail’s fried chicken. In addition to his being at the market tomorrow, Chef Beckett is also hosting a dinner and book talk, in conjunction with Changing Hands Bookstore, in celebration of Chef Dan Barber’s book The Third Plate. On Tuesday, April 14th an exclusively-Arizona, three-course dinner will be held at Southern Rail, along with a meet-and-greet at Changing Hands, to hear the James Beard Award-winning Chef Barber. 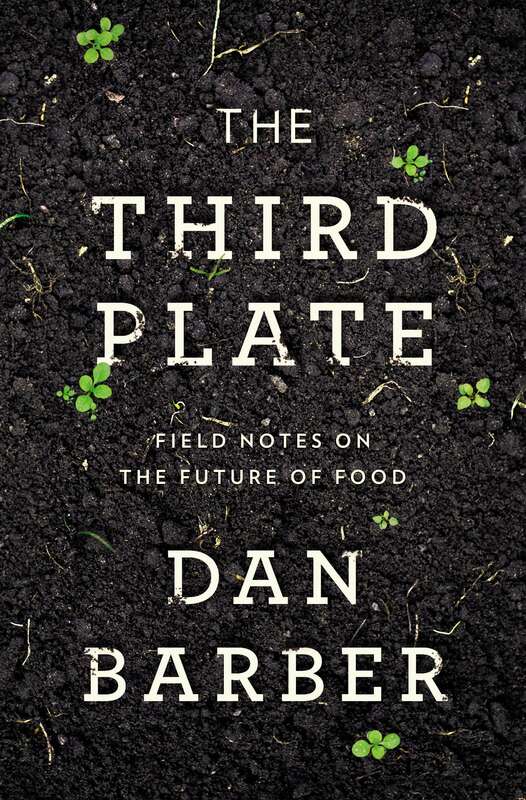 The Third Plate is an in-depth look at our current national food systems, with a history as to how kitchens and fields have changed over the past two centuries, and Barber’s proposal for creating an integrated system of good farming practices and good food, or “the third plate”. It promises to be an entertaining and engaging evening, with a locally-focused menu from Chef Beckett. Reservations are required and can be made at www.danbarber.bpt.me for $79 + tax/per person, which includes a signed paperback copy of The Third Plate. Arizona-based beverage pairings may be included to your meal for an additional charge. I would recommend that you make reservations soon, as I am sure this event will fill quickly. You may also come by and talk with Chef Beckett tomorrow at the Uptown Market, where he will be taking your questions and serving samples of a Southern-style bruschetta.